The roof certainly is the integral part of a building, be it a residential or a commercial building. The crown of a house, a roof not only provides shelter to the people living or working inside the building, but also keeps the building warm and nice. Now, when it comes to constructing a building, the type of roofing that you wish to install certainly becomes the prime area of concern. 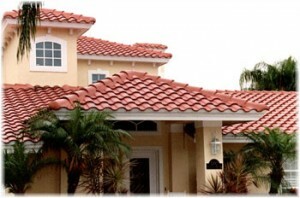 However, you should definitely never overlook the part of hiring a Florida roofing contractor. Now, you might wonder about the importance of hiring an able roofing contractor. Well, it is to be kept in mind that the reason of being careful about the roofer you choose for your building is multiple. Firstly, the roofer is endowed with the responsibility of installing a roof that would suit the particular building in the region perfectly. Secondly, the Florida roofing contractor, you choose also holds the responsibility of installing the roof properly so it can withstand the climatic diversities in your region well and offer great durability. Since, the market is filled with roofing professionals aiming to offer the best of services, you must consider making a wise choice. In your pursuit of hiring a roofing professional offering excellent and high-quality service, you must ensure following some tips for a better hire. The first thing that you can do is opt for recommendations and consider referrals. Additionally, it is also important to check the experience level of the roofer and conduct a background verification of the particular company for a best hire.